The Vancouver Canucks have signed defenceman Troy Stecher to a two-year deal valued at US$2.325 million per year. VANCOUVER — The Vancouver Canucks have signed defenceman Troy Stecher to a two-year deal valued at US$2.325 million per year. The 24-year-old from Richmond, B.C., recorded one goal and 10 assists over 68 games last season, his second in the NHL. He set career highs in penalty minutes (35), hits (110) and blocked shots (75). His averaged 18:49 of ice time and recorded 75 blocked shots, good for fifth on the team in both categories. 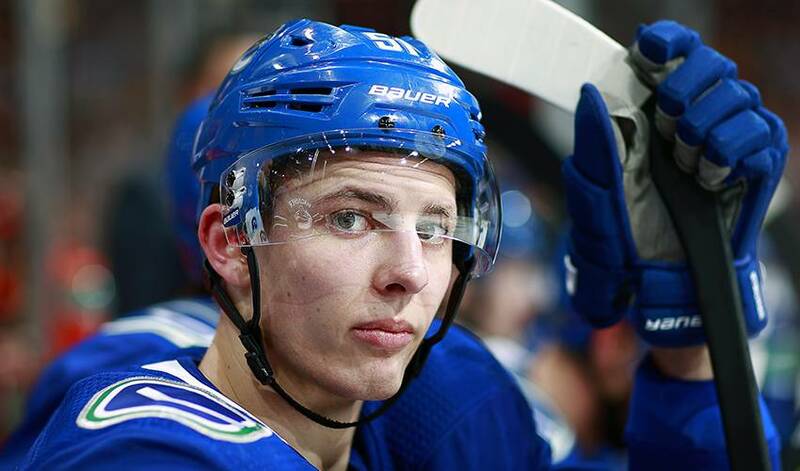 Stecher, signed by the Canucks as a free agent on April 13, 2016, has four goals, 35 assists and 60 penalty minutes over 139 career games with Vancouver Canucks. "Troy Stecher is an important part of our team," Canucks general manager Jim Benning said in a statement. "He's a talented two-way defenceman who competes every shift. Troy has a willingness to always improve his game and is an example of a young player committed to being a professional."